Starcast- Shahrukh Khan and Anushka Sharma. After the failure of many anticipated Hindi films so far in this year, Shahrukh Khan and Anushka Sharma starrer romantic drama Jab Harry Met Sejal hit the screens on Friday as a big hope for the industry. 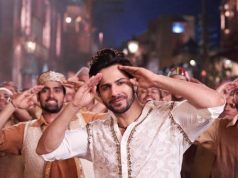 Although with solid star power it could score good at box office, but the question is, does it match with the standard that Shahrukh holds as a superstar? Directed by Imtiaz Ali, Jab Harry Met Sejal is the story of a tourist guide Harinder Singh Nehra aka Harry in Europe, and his client a Gujarati girl Sejal Zaveri from Mumbai who comes to Europe on a tour with her family. While going back, Sejal finds her engagement ring missing so she decides to stay back and compels Harry to help her in finding the ring. From here the film runs in a default Bollywood mode. Shahrukh Khan also known as King Khan, has just completed his 25 years in the industry. During the journey he has given many hit & iconic films, received huge appreciation and gained enormous fan following across the globe. But from last few years, he is continuously getting failed to impress audience and that because of his bad taste in script-selection. The new one, Jab Harry Met Sejal is also the film that doesn’t impress much despite the good performances of the leading duo. As always, Shahrukh and Anushka have justified with their roles of Punjabi guy and Gujarati girl very well, but the predictable story, weak script and worse direction pull it back. 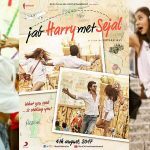 Imtiaz Ali who had given films like Jab We Met, Rockstar and Love Aaj Kal in the past, has highly disappointed his admirers with Jab Harry Met Sejal. Despite having the king of romance SRK and so much talented actress Anushka with stunning locales of Europe, he has got failed to create that emotion which is highly required. In past there were many romantic films that became successful because of good music, but unfortunately Jab Harry Met Sejal doesn’t have that lifeboat to reach the shore. 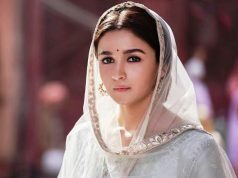 The film has too many songs composed by Pritam and one by Grammy award winner Diplo, but none of them strums the right string. Overall Jab Harry Met Sejal is an average film, definitely not as special as it has been promoted by the makers. 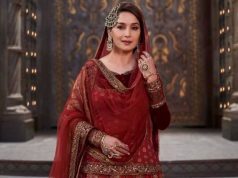 But if you are fan of Shahrukh and Anushka, then you will enjoy the film because they both have given good performances. 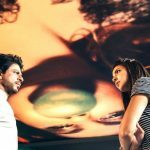 Despite the good performances of Shahrukh Khan and Anushka Sharma, Imtiaz Ali's directorial Jab Harry Met Sejal doesn't impress much.